The Knowledge Hub at the 2020 co-located events;Drives & Controls, Smart Industry Expo, Air-Tech, Fluid Power & Systems, and Plant & Asset Management Exhibitions, will feature a free comprehensive programme of seminars and panel discussions strategically located in two theatres at the heart of the 2020 co-location. The uptake of smart technologies in the industrial sector will be central to our future, by improving our national productivity, creating higher value jobs, and arming our workforce with the digital skills required in the decades ahead. Global initiatives and the technological paradigm shift associated with the Industrial Internet of Things, shows that there is a growing opportunity for industry to take advantage of the creativity and entrepreneurial nature of UK companies. 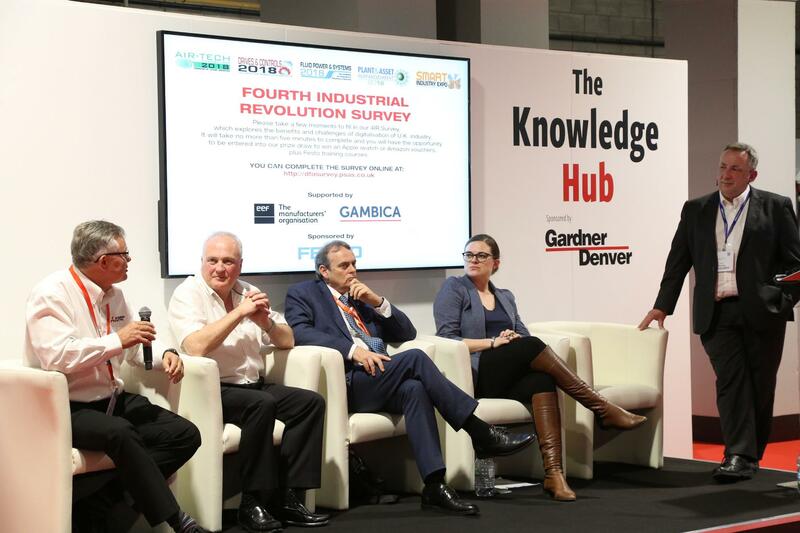 The Knowledge Hub will fully reflect the ongoing global transformation to the smart manufacturing era and provide a fascinating insight into the potential plants of the future, with high profile panel discussions and seminars from leading expert figures in the industry. Over the course of the three-day seminar programme, visitors will have the opportunity to learn how they can seize the opportunities that exist and promote the benefits of adopting emerging digital technologies. The variety and scope of the seminar programme for 2020 is extremely exciting, adding real value. The combination of leading manufacturing events, with a highly focused seminar programme, will give visitors a genuine opportunity to keep abreast of the latest industry developments. To keep updated with the latest seminar information please register your interest.